Orvis Braided Dacron Backing For Fly Lines/Only 20-pound Test 100 Yds. 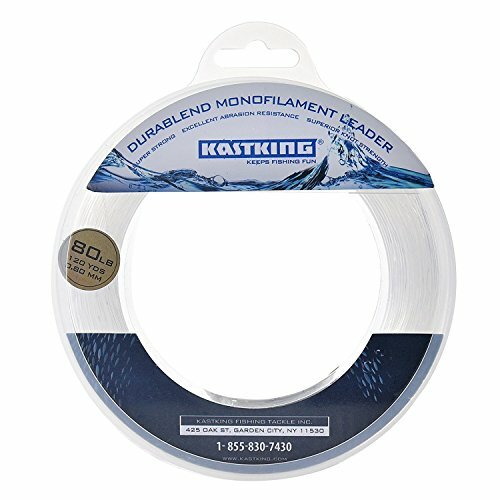 KastKing - the ICAST 2015 Award winning brand, presents the incredibly strong-superior monofilament leaders ranking among the highest in tensile strength.80 lbs is shown for display purposes. There are other sizes to choose from. Please select the size you want. Innovative keeper package for DuraBlend leader line up to 100 lb test protects the line and affords quick, tangle-free availability, maximizing your efficiency while on the water. 100 - 200 lb test DuraBlend comes wound in a soft wrap package. 10 Color sequence, 10 Yards per color. 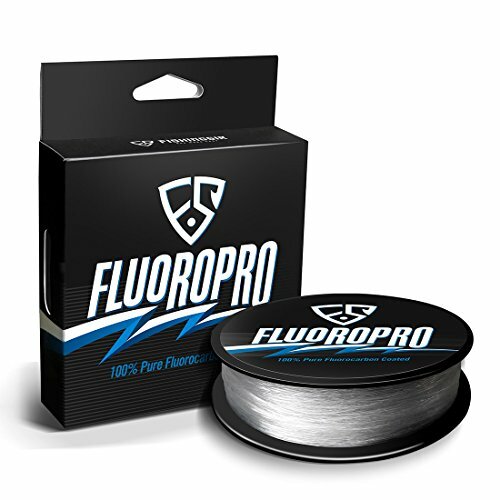 FLUOROPRO was created on intention of providing anglers a substitution of fluorocarbon at very affordable price. We cut price in unnecessary spending to give more values to our buyers. It has approved high tensile, great abrasion resistance, minimal stretch with super sensitivity, virtually invisible and other fishing-friendly features. This superior fishing line was the combination of 2 kinds of premium material - copolymer core and 100% pure fluorocarbon coated that make FLUOROPRO featuring virtually invisible in water and long, smooth casting like mono line. 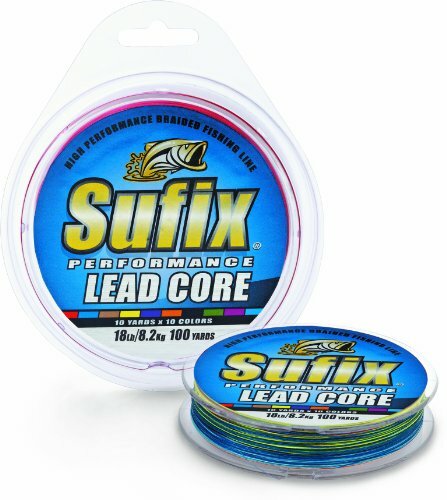 So, that is why our anglers could get this great substitution of fluorocarbon line at such low price. Utilizing Advanced Coating Tech (ACT for short) makes it smooth and stand up to abrasion resistance, it approved by lab test the FLUOROPRO is UP to 6 times stronger as powerful as monofilaments. 100% pure fluorocarbon coating refracts the light similar to water, so the line is virtually invisible once it enters the water. FLUOROPRO line handles soft and has one of the highest strength-to-diameter ratios available. Small diameter, high strength with unbeatable knot strength that guarantees perfect swimming and depth with your fishing baits. Also, it approved and our anglers' using experience from beginners to professionals, this line sinks faster with low water absorption than traditional nylone line. Finally, FLUOROPRO is one of the best durable, low stretch with super sensitivity lines in the world. Optimized for your fishing reel, no other line delivers this combination of easy handling, castability, strength and sensitivity at this affordable price below other brands. 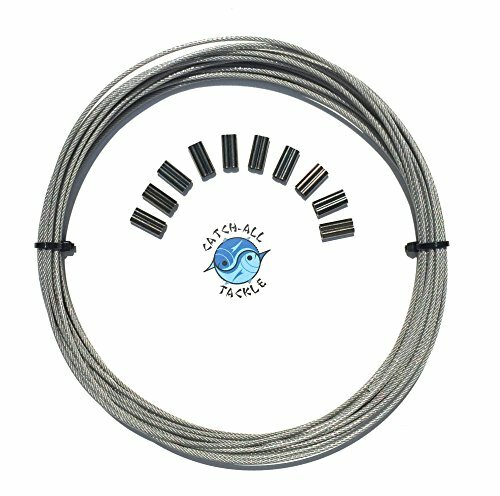 Top quality Vinyl Coated stainless steel cable. 275 lb test 30 ft spool.Includes 10 crimps. Coating adds about 2mm to cable size. Coating helps reduces burs. 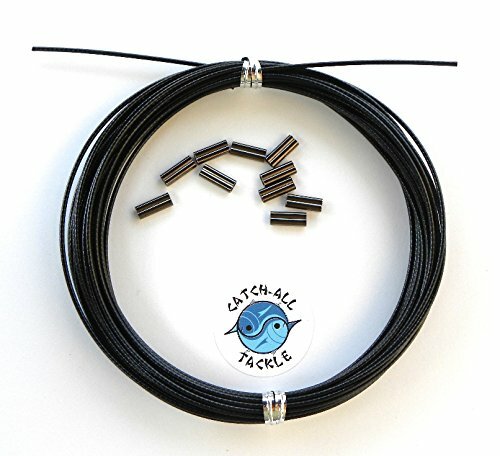 Black Coated 304 Stainless Steel 7x7 49 strand cable. Size indicated is the cable size the coating adds about .2mm to the thickness. Kits include 10 pieces long double barrel copper crimps. STRONG - JSHNAMEI fishing line presents the incredibly strong-superior monofilament leaders ranking among the highest in tensile strength. Two colors, 18 sizes to choose from. Please select the size you need. ABRASION RESISTANCE - JSHANMEI nylon line delivering extreme fighting power, mono leader material features great shock strength, excellent abrasion resistance, and high knot strength. 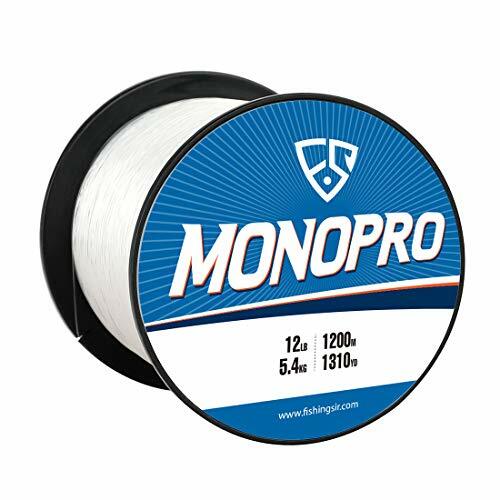 Also, the mono line offer great properties anglers expect in a high-quality leader such as low stretch and outstanding clarity. 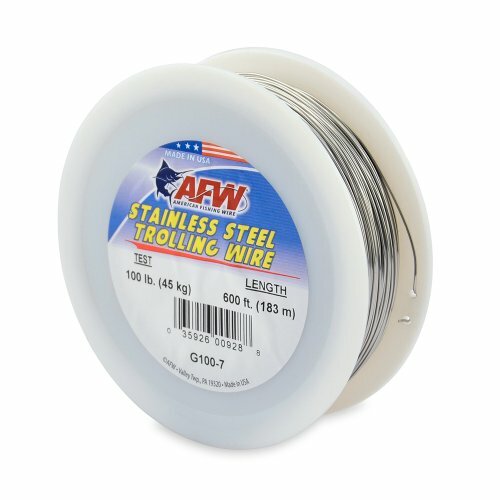 AFW s Stainless Steel Trolling Wire is soft single strand wire carefully annealed for maximum flexibility and strength. The line sinks rapidly allowing the angler to get down deep using shorter lengths of line. It is kink and abrasion resistant and ideal for both fresh and saltwater trolling. The high strength of 300 series stainless steel results in a small diameter per pound test providing greater reel capacity. Great for reaching Stripers and other fish in deep waters. 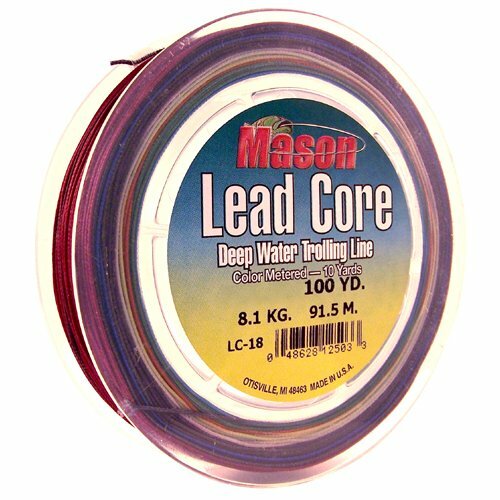 This steelon nylon coated wire is great for use in saltwater because it is non-corrosive. 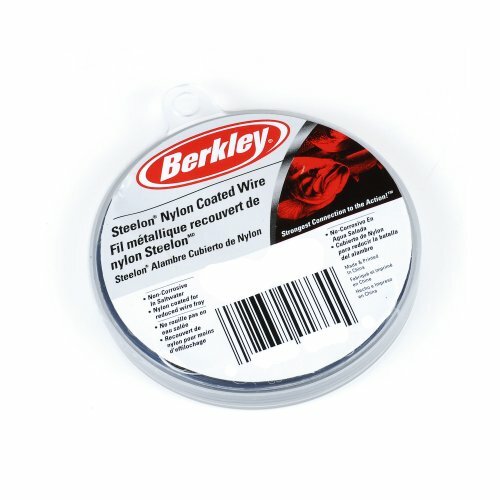 The nylon coating provides extra protection to reduced wire fray. Steelon has a seven strand construction which give the material its flexibility and its ability to not kink easily. This is the perfect material for art shows, wind chimes, crafts, models and other uses as well as fishing leader material. Available in black color. Comes in 80-pounds line test. Measures 30-feet wire length. 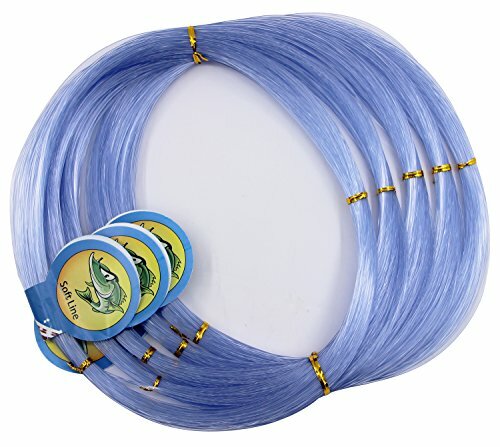 BlueJays1x7 is a great all-around leader wire for toothy fish. This wire is our Surfstrand 1x7 stainless steel with a smooth coating of nylon. A specially selected grade of nylon, tough yet flexible, is used to seal out water, reduce visibility, and improve the life of the line. Compared to old style 1x3 construction, BlueJays's 1x7 construction offers higher break strength and more realistic action. 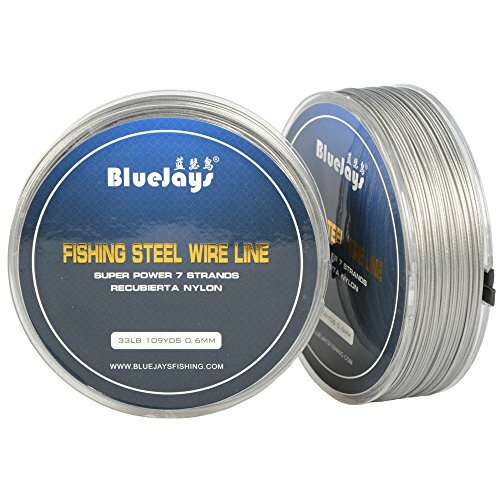 BlueJays 1x7 is an effective leader wire for hard-charging, toothy fish such as Bluefish, Muskie and Mackerel. 0.60mm - 33lb / 15kg . Specially Selected Grade of Nylon Makes Wire Tough Yet Flexible,Coating seals out water, reduces visibility, and improves life of leader. Top quality Vinyl Coated stainless steel cable. 175 lb test 30 ft spool.Includes 10 crimps. Coating adds about 2mm to cable size. Coating helps reduces burs. 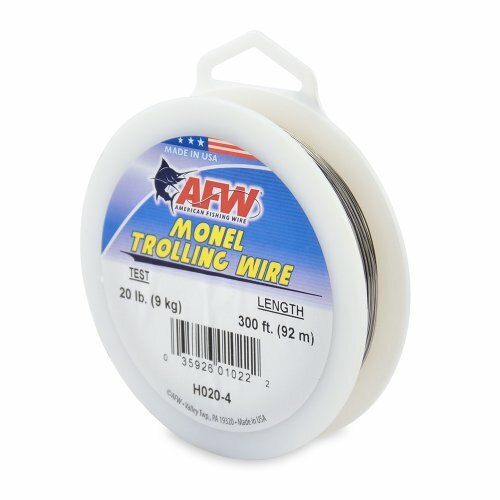 AFW s single strand soft Monel Trolling Wire is the ultimate line for wire fishing. Special processing by AFW gives the wire exceptional kink resistance with excellent ductility and high strength. 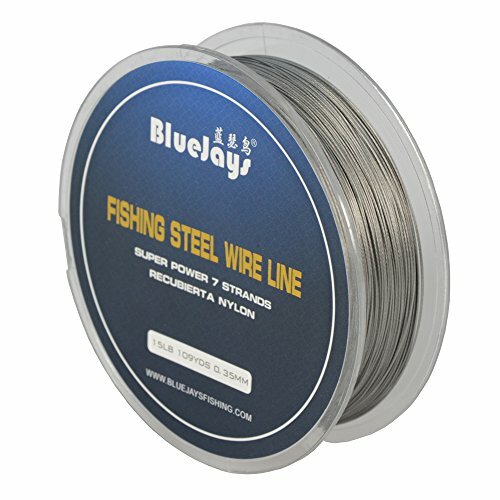 This nickel-copper alloy provides maximum corrosion resistance in fresh and saltwater and, due to its greater density, sinks more rapidly and stays deeper than stainless steel and other trolling lines. 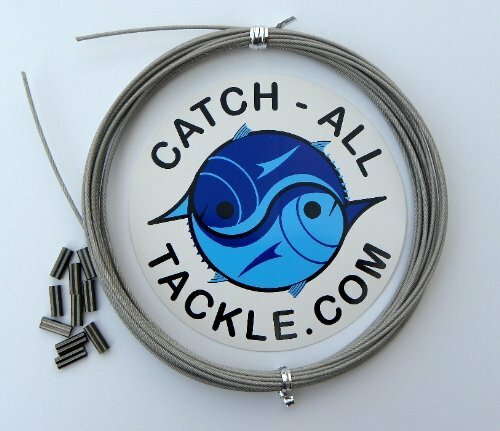 Excellent wire for dragging baits at depth and hooking hard-charging game fish such as Striped Bass and Wahoo. Perhaps the best leader wire available! 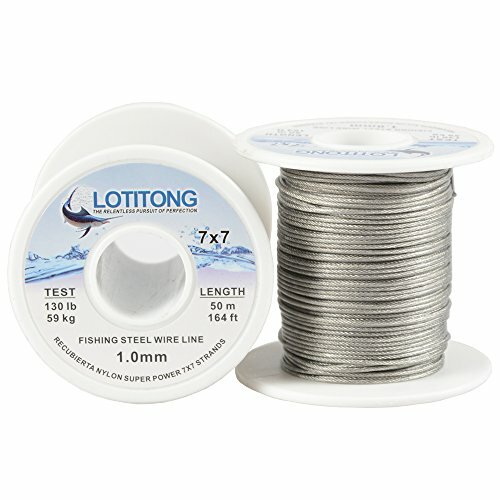 LOTITONG is miniature 49 strand stainless steel wire that is extremely flexible and kink resistant. 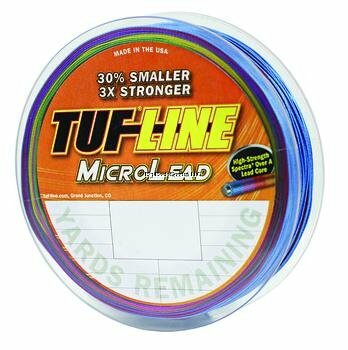 This wire is ideal for many types of sport fishing because it can be knotted to your bait and line like monofilament, it provides greater flexibility and less stretch than monofilament, and is generally smaller diameter per pound test, and therefore, less visible in the water. 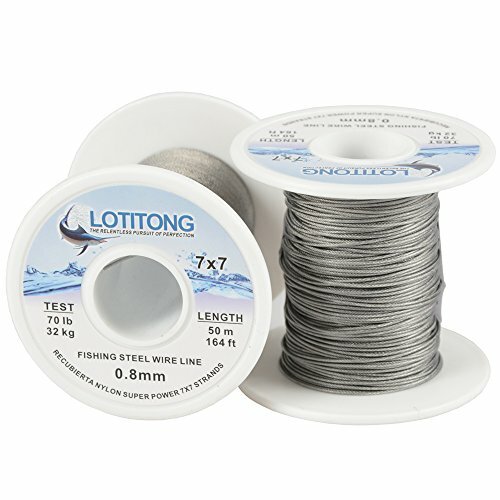 LOTITONG 7X7 line is very soft no memory or stretch. The wire enhances the action of live and artificial baits and adds a level of realism never before attainable using wire or other leader materials such as monofilament and fluorocarbon. This wire is ideal for presenting life-like bait at any depth and can fool tackle-shy Billfish while withstanding the violent razor-sharp strikes of King Mackerel and Shark. Excellent for casting flies and tempting the most discriminating toothy fish to the surface. No other wire offers more realistic action both above and below the water. Low elasticity and high sensitivity allow you to set hooks faster and with more accuracy. Attach using common monofilament knots such..
Professional fishing line max power. Cover with a layer of plastic,to prevent seawater corrosion. Braid by 7x7 49 strands of steel wire. 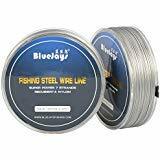 50 Meter diameter 0.8mm 7X7 fishing Steel wire line,Test 70LB 32KG. 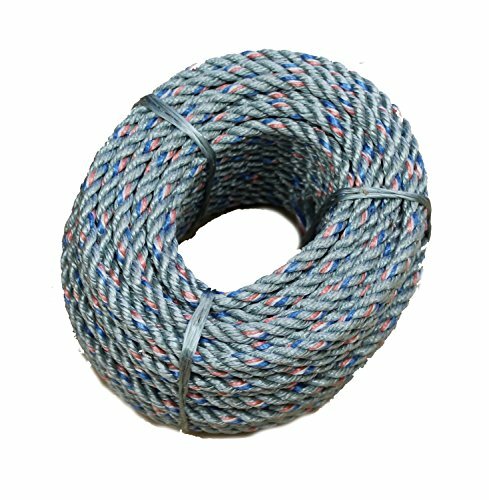 50 Meter diameter 1.0mm 7X7 fishing Steel wire line,Test 130LB 59KG.